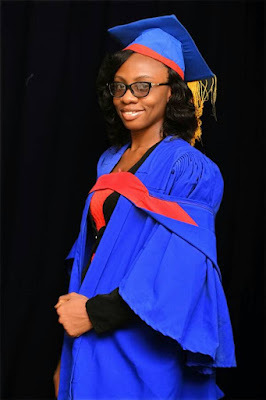 At the recently held induction /oath-taking ceremony for the 2015/2016 set of medical laboratory science (MLS) graduants of Ambrose Alli University (AAU), miss Ikeagwu Maryann Chinyere was a cynosure of all eyes. 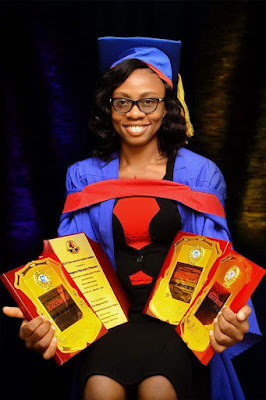 The indigene of Imo state, born in Niger state and raised in Lagos state emerged the best graduating students carting away all the prizes and awards. Wealthylabmanagers.com crew caught up with the chemical pathology major and the first in a family of five, and she took us through her journey towards graduating with a first class. Wealthylabmanagers.com: First class is a rare feat, what motivated you towards achieving this academic feat? Maryann Ikeagwu: I graduated from secondary school in 2008 and it took three years and 4 consecutive UTME exams before I gained admission because I desperately wanted to study Medicine and surgery, so I felt the only way I would feel compensated for the years I wasted at home was to graduate with a first class. Wealthylabmanagers.com: Wow! how easy was it to make this vision a reality? Maryann Ikeagwu: It wasn't easy. A lot of people told me it was impossible but I have always been the kind of person that sets ridiculously high goals for myself because I know the strength of the God I serve. So I ignored the sceptics and worked towards it prayerfully and God has made it a reality. Of course it took a lot of hard work, long hours of study and determination. Wealthylabmanagers.com: Do you believe the saying that people who make first class have 2 proverbial heads? If no, how is their reading pattern like that stands them out? Maryann Ikeagwu: We don't have two heads. I start reading early into the semester. I don't wait for my notes to pile up. So before exams approach, I'm already very familiar with the course materials. Also I teach my coursemates and believe me that helped a lot because it is very difficult to forget something that you teach. I don't necessarily read for several straight hours because it wears me out. Also God has blessed me with a photographic memory which helped me a lot. Wealthylabmanagers.com: How was your social life like? Maryann Ikeagwu: To be honest I literally didn't have a social life. Medical laboratory science is a challenging course and course materials are usually quite bulky so with the the kind of goal I set for my self I knew it couldn't afford to allow any distraction. So my life in school was "trangular " Hostel -School -Church. It was in 500 level first semester that I loosened up a bit and started participating in social activities because I had already laid a very solid foundation by God's grace and graduating with a First class was sure. Wealthylabmanagers.com: That's great! What will you advise someone who wants to achieved same feat? Maryann Ikeagwu: If you can conceive it and believe it, you can achieve it . Just believe in yourself and have a solid relationship with God and don't let anyone discourage you with their pessimistic comments. One Scripture that kept me motivated is "I can do all things through Christ who strengthens me"(Philippians 4:13). Also make friends with people that have similar goals. If you surround yourself with friends that are not serious with their academics,they'll end up slowing you down. Wealthylabmanagers.com: Can you say your lecturers were instrumental to your success, if yes how? Maryann Ikeagwu: Definitely, if they didn't teach me well I wouldn't have been able to excel . Also some lecturers noticed my academic performance and encouraged me to press on towards my goal. One of them even took the pains of teaching me practicals privately and giving me unhindered access to laboratory equipment when I was preparing for my professional exams. Wealthylabmanagers.com: What can you say about the lecturers and MLS as a whole in AAU, are there areas you want them to improve on? Maryann Ikeagwu: The lecturers in MLS department, AAU are very hardworking and dedicated. MLS in AAU is getting better by the minute thanks to the Vice-Chancellor,the HOD- Dr. O.F Emelike and all the teaching and non-teaching staff of the department. The workload on the lecturers is too much so more hands are actually needed. 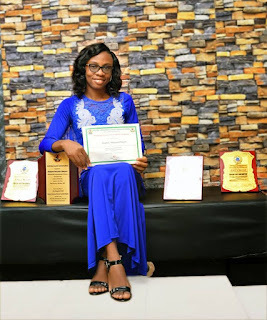 Wealthylabmanagers.com: Do you think professional bodies like Association of Medical Laboratory Scientists of Nigeria (AMLSN) and Medical Laboratory Science Council of Nigeria (MLSCN) are doing enough to encourage excellence? Maryann Ikeagwu: They're trying but I believe more can be done like giving automatic internship placement to MLS students that excel academically because getting a place to do your Internship is another battle on its own so students that have excelled academically should not have to go through the stress of applying to a whole lot of hospitals in order to get an internship placement. Also Merit awards for academic excellence should be accompanied with cash prizes in order to motivate and encourage MLS students. Wealthylabmanagers.com: what were the awards and prizes you were given? Award for excellent academic performance for being a First -Class graduant. Cash prize from Prof. Dennis E. Agbonlahor. Wealthylabmanagers.com: Lastly, what are you plans for the future professionally? Maryann Ikeagwu: I plan going further academically. Getting an M.Sc and PhD and going into academia and Medical research. Thank you for the time and congratulations! ©www.wealthylabmanagers.com. You can cut or copy articles and story from this blog but on the condition that you will give www.wealthylabmanagers.com the credit. Send us your news stories and articles via the 'contact us' form below or send an email to wealthylabmanagers@gmail.com.